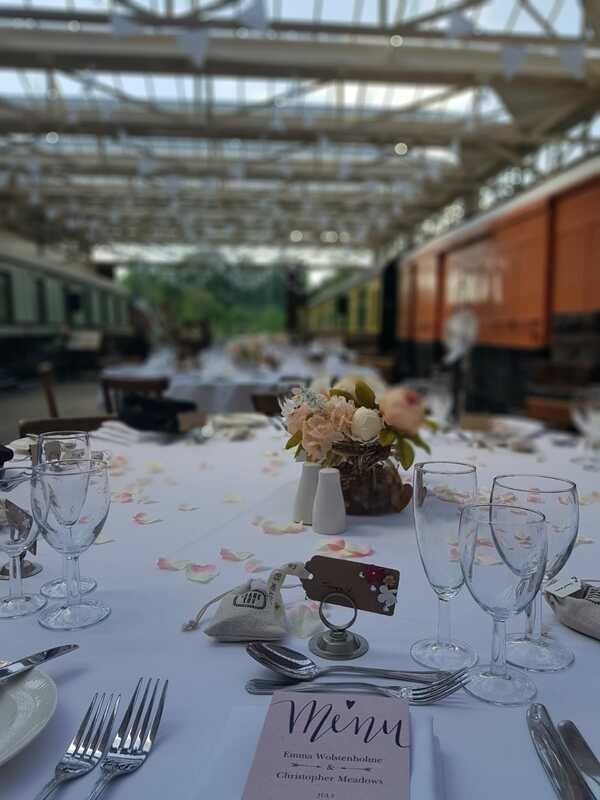 We do a love a stunning venue here at Hart’s and on a hot July Day this wedding venue did not disappoint with a stunning Vintage Railway Wedding Venue. 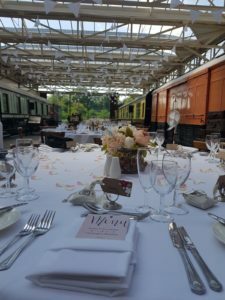 A first for us we got to work at a Vintage Railway Wedding Venue. 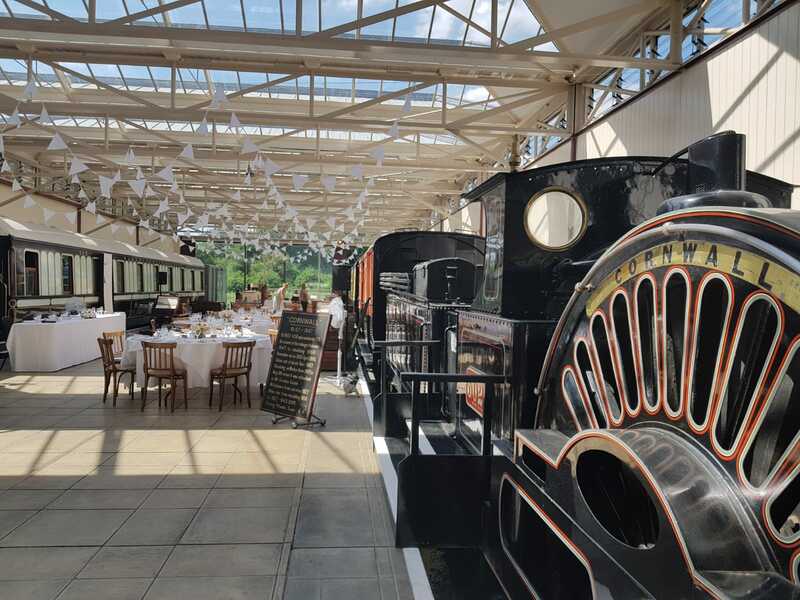 The platform provided the space for a Civil Wedding Ceremony followed by the Wedding Breakfast. 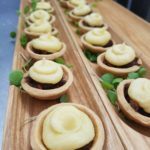 The space was then transformed for an evening party with more food and drink. 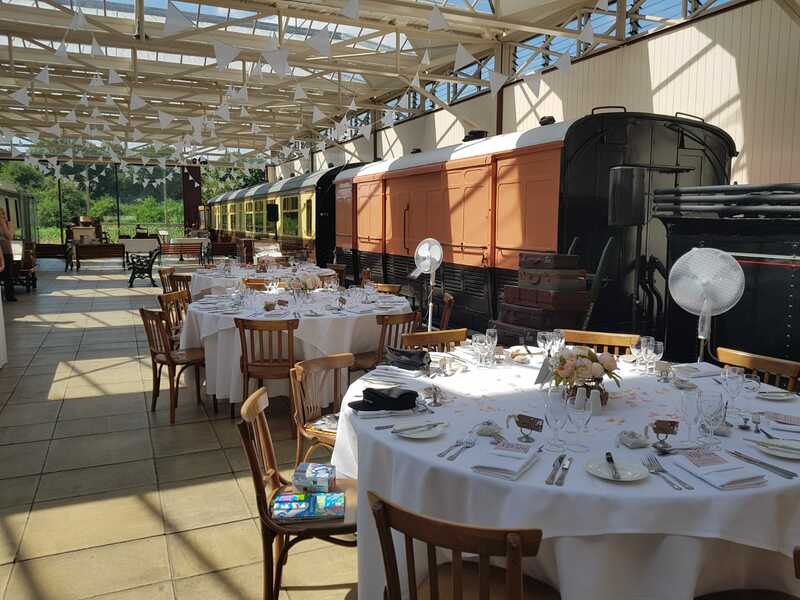 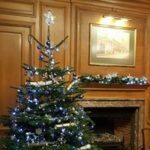 The venue is set within the Buckingham Countryside is Buckinghamshire Railway Centre this stunning Vintage Railway venue offers a lovely location to hold your wedding. 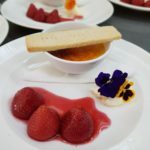 The day was intimate with close family and friends for the ceremony and wedding breakfast and a large party in the evening. 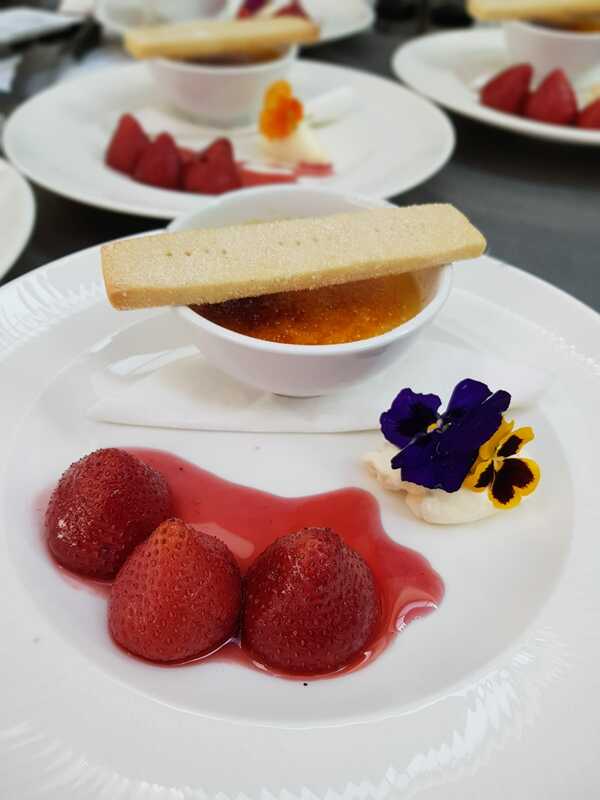 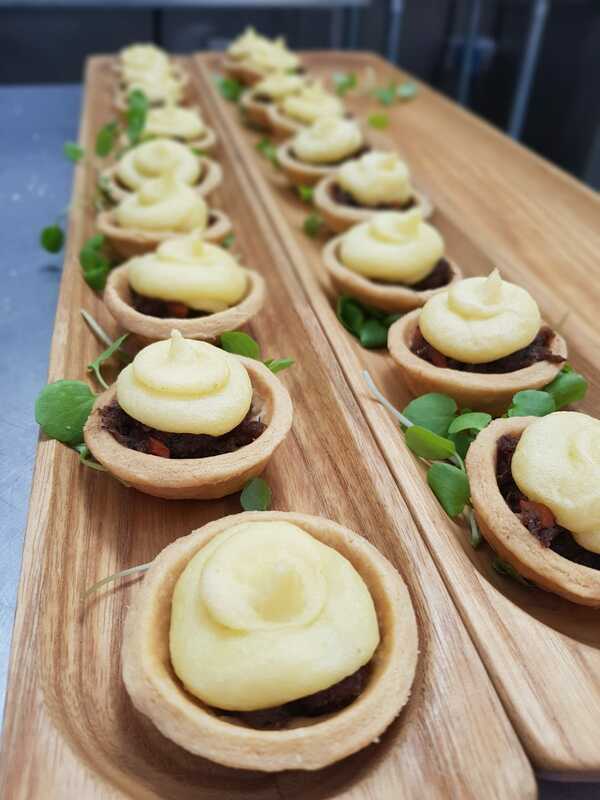 Guests enjoyed a selection of canapés following the intimate ceremony on the platform. 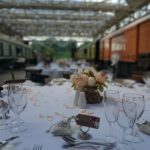 During the drinks receptions the Bride and Groom took there guests on board a Steam Train travelling along the line and returning to the station. 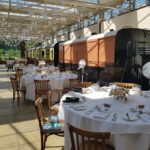 Guests where then invited to take there seats for a 3 course wedding breakfast. 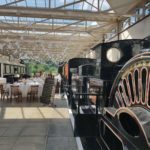 The wedding breakfast takes place on the platform whilst sitting under the glass canopy of the original Oxford Rewley Road Station dating back to 1851. 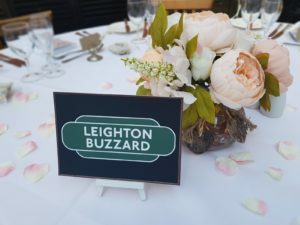 Additional guests joined in the evening to continue the celebrations with our bride and groom, witnessing the cutting of the cake and the first dance. 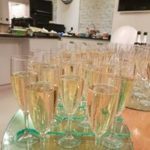 The evening was finished off with a fish and chip van, Dj and a bar provided by Hart’s.